With me as your personal injury attorney, your legal rights will be asserted for the best outcome possible. Sustaining an injury because of the negligence of someone else can have both immediate and long-term consequences. Even in the most minor of cases, you need a personal injury attorney on your side to represent your interests. 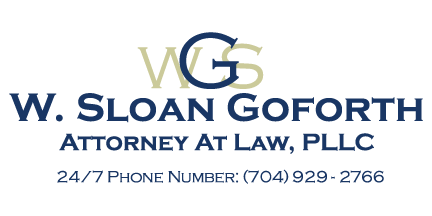 When you call me, W. Sloan Goforth, Attorney at Law, you are getting a staunch advocate who will go to bat for you. My goal is to make sure your legal rights are asserted so that you receive proper compensation that is in line with the situation you’ve experienced. Whether that involves working with an insurance company on your behalf to negotiate the settlement or explaining the case to a jury in court, you’ll find that I will do what it takes. A personal injury attorney must be able to accurately depict the situation should your case go to court. With my former experience as an educator, I have the experience to explain even complex legal scenarios so that the jury fully comprehends your case and can better relate to what you have gone through and may still face. Since personal injury cases are not as simple as “guilty” or “not guilty”, it is important that I am able to get the jury to comprehend the seriousness of your situation so that they rule in your favor. If you would like to know more about what I can do as your personal injury attorney, don’t hesitate to contact me for a complimentary initial consultation. I’ll be happy to answer your questions so that you can feel comfortable and confident about how to proceed with your case.